I met a woman on the train while crossing the south island of New Zealand in 2010, who said the best way to see England was to rent a car, set yourself up in a different town every few days, and do day trips out to the surrounding districts from there. I decided to follow her advice. I was nervous, I admit. I’m not a confident driver at any time so this was always going to be the challenging part of the trip. Still, it wouldn’t be that different from Australia, surely. They drive on the right side of the road – that is, the left. They speak English so I could ask directions if I needed to. No, it would be fine. I’d often been told I should go to York and so, in England’s autumn of 2011, I boarded a train at Manchester and headed north. York has had many incarnations since the Romans left in A.D.400: Anglo Saxon, Viking, Norman, led by William the Conquerer, and the Tudors. Wars have come and gone, and bust times and booms. In the 1970s and 80s, industrial unrest and strikes swept the country and manufacturing went into decline. It was then that York realised its greatest asset was its history and the tourism it could bring. In 2006, on my first trip to Tassie, I left Hobart and headed up the east coast towards Swansea and the Freycinet Peninsula. 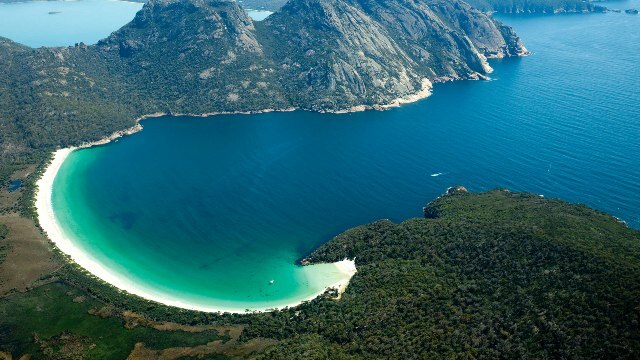 I was sick of just looking at photos of famous Wineglass Bay; I wanted to see it for myself. ‘The lookout for Wineglass Bay,’ I said to the girl behind the counter at the Visitor Centre. ‘Is it a hard walk?’ She shook her head. ‘So, it’s not difficult then?’ I prompted.